A tough economy and high gas prices are keeping one North Idaho couple from too quickly celebrating the $25,000 check they’ll receive next week. Lotte Cogle and her husband, Ray Wolsfelt, the owners of the Coeur d’Alene convenience storethat recently sold a winning Mega Millions lottery ticket, will get the bonus for selling a winner,but they don’t have big plans for it. 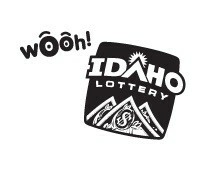 Retailers who sell winning tickets worth $500 or more receive cash bonuses from the Idaho StateLottery. In the case of the million-dollar ticket Dexco Mini Mart sold a retired Hayden couplelast week, the bonus is $25,000, lottery spokesman David Workman says. Even if the money goes into a savings account — or maybe toward finishing some requiredupgrades on the store’s Visa software — Cogle says she and Wolsfelt were “thrilled” to find outthey had sold the ticket to a regular customer. The winner, Clifford Jordan, buys lottery tickets every week and comes in every Friday to checkhis numbers, Cogle says. Veterans in the gas station business, Cogle and Wolsfelt haven't sold a "big winner" in about 15 years, and this is the first time ever they’ve gotten the cash bonus. In an area of the state Workman calls “a hotbed for Mega Millions winners,” Cogle says the windidn’t increase business much until one customer bought $240 worth of lottery tickets Thursdaybecause he heard the store sold a winning ticket. That “$1 million ticket sold here” banner the Idaho Lottery sent the store this week might help. MORNING HEADLINES: Filling and fleeing.